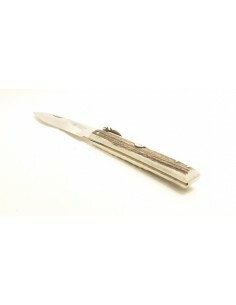 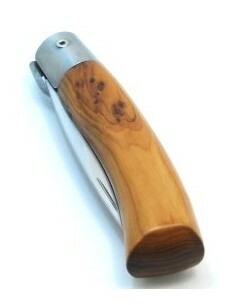 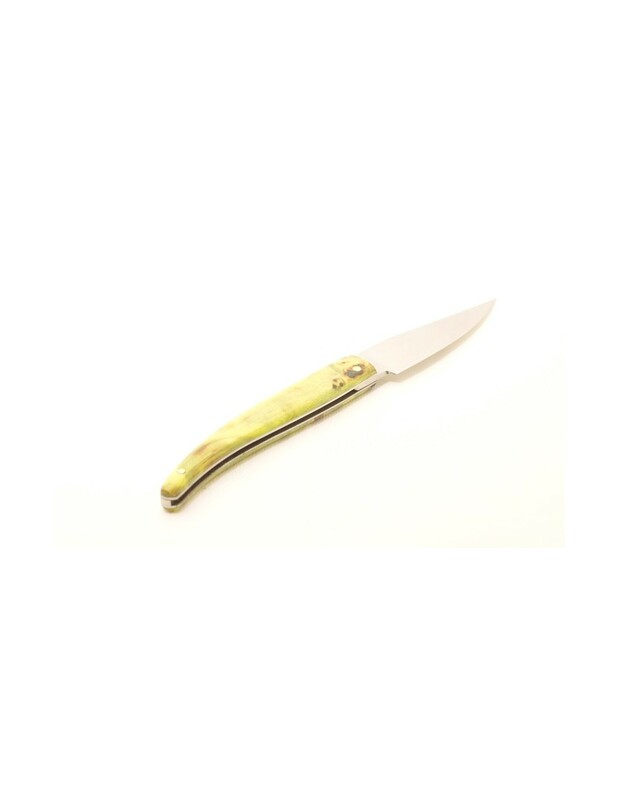 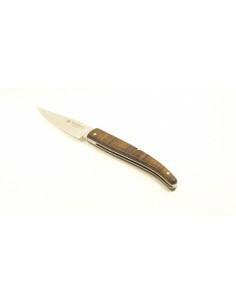 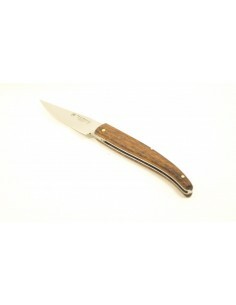 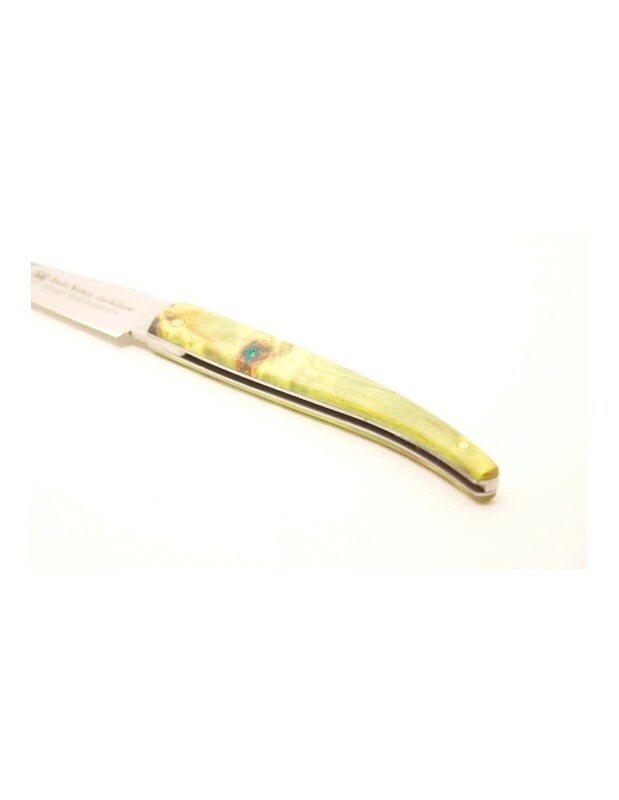 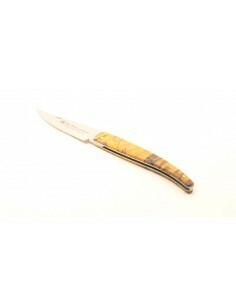 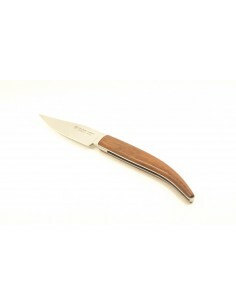 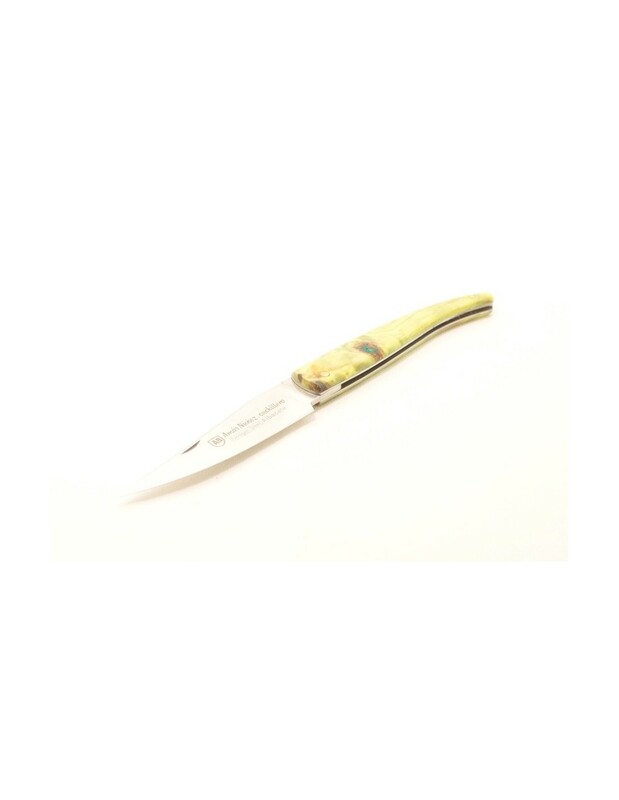 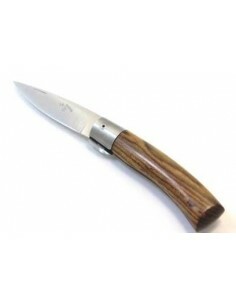 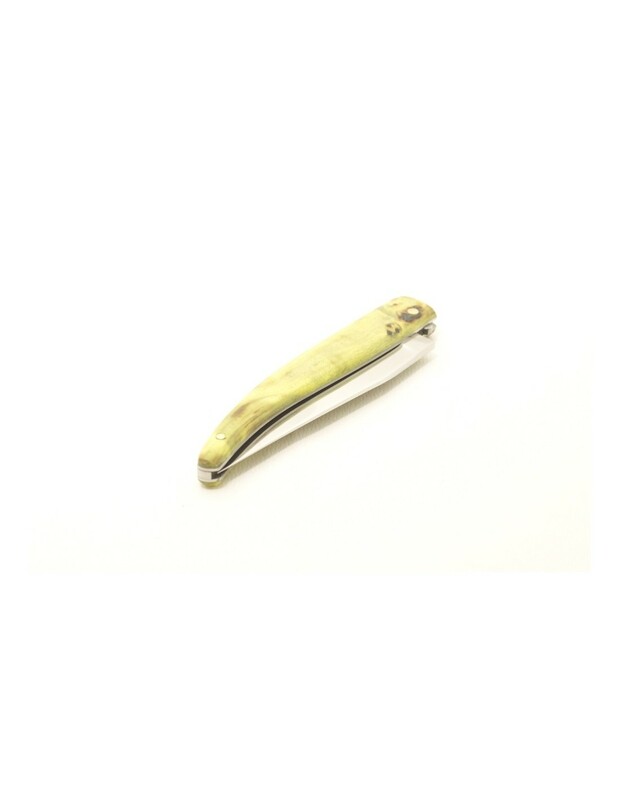 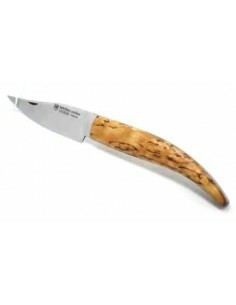 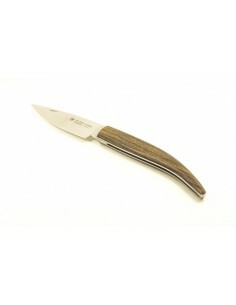 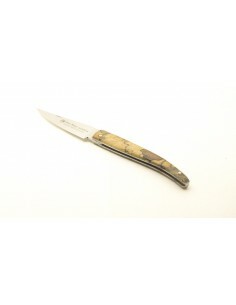 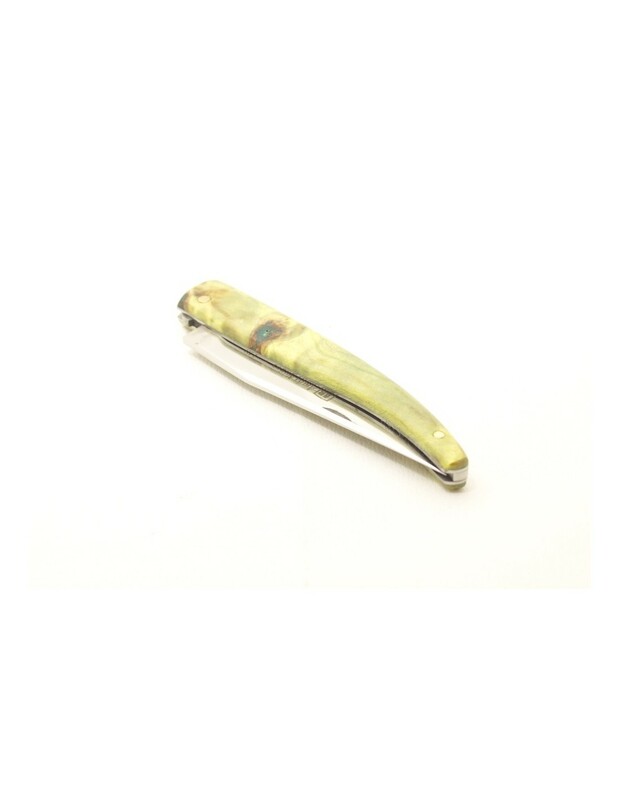 Albacete handcrafted folding knife with scales of Stabilized Beechwood yellow. 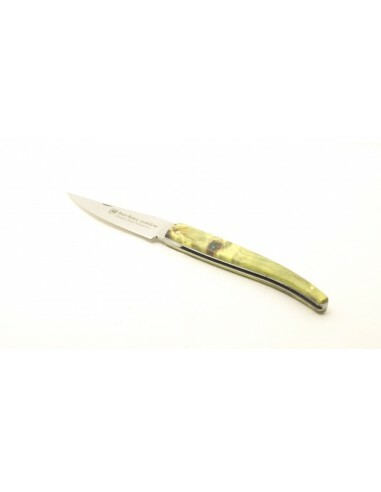 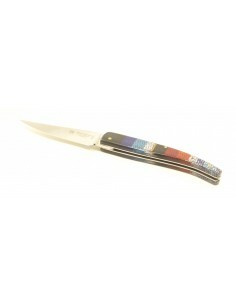 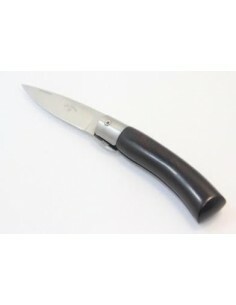 Albacete handcrafted folding knife, blade of Nitrogen steel, 2,5mm thickness, no hollow blade and mirror polished, stainless steel liners and slip-joint lock system. 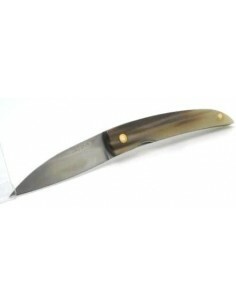 The process of adding Nitrogen to the steel, gives the blade a higher hardness and resistance to corrosion. 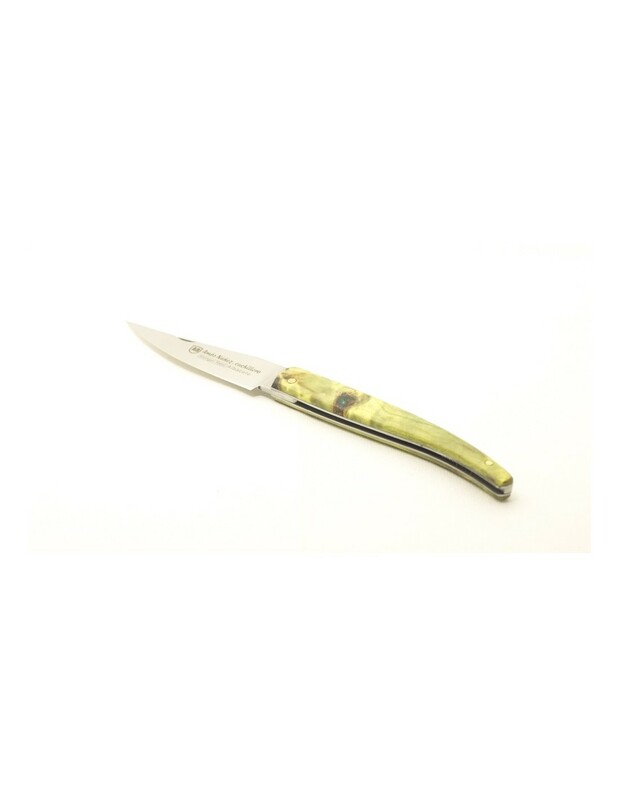 Scales of Stabilized Wood yellow dyed. 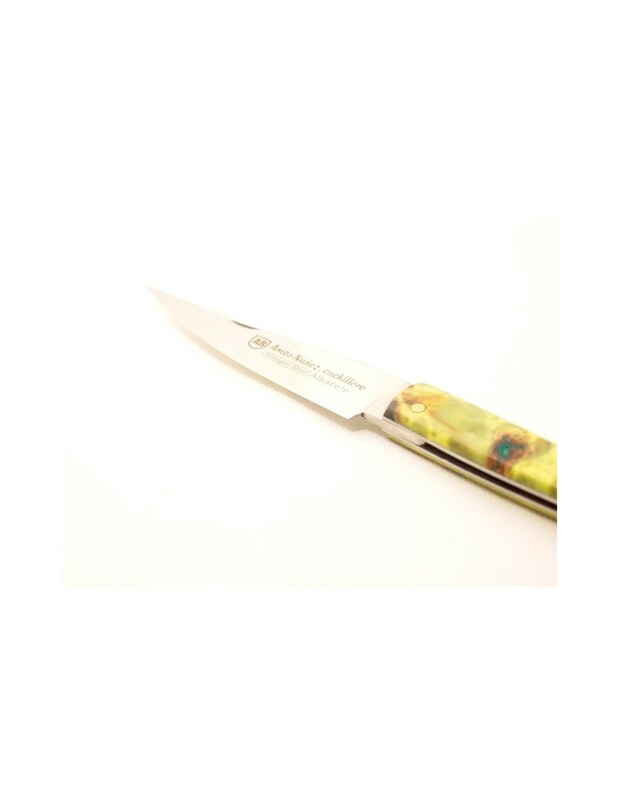 The wood stabilization is an artisan process, where it is tried to put the maximum possible of resin that allows the mechanical characteristics of wood, to give it a higher specific weight, hardness, strength and a nice and different look. 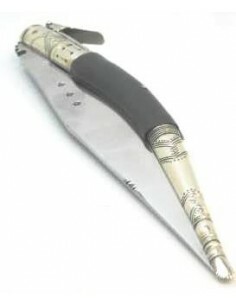 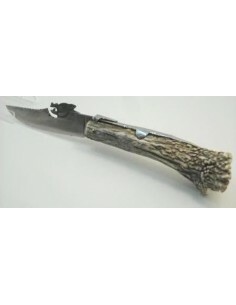 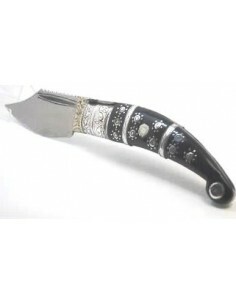 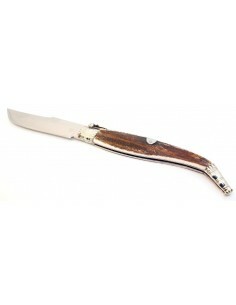 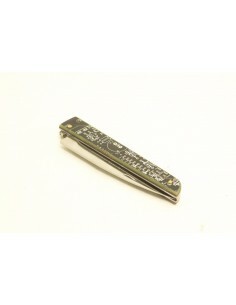 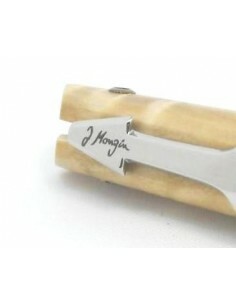 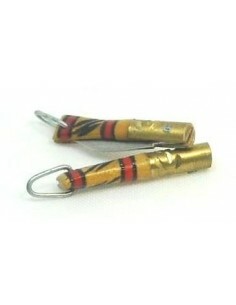 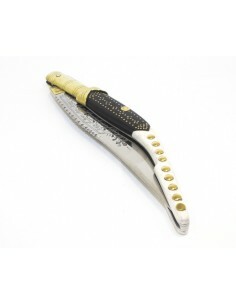 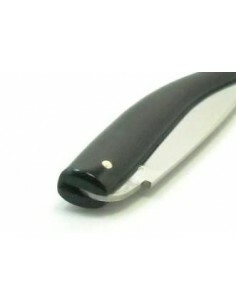 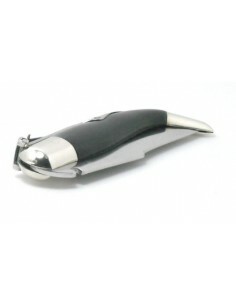 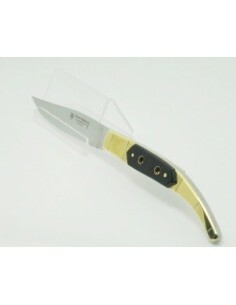 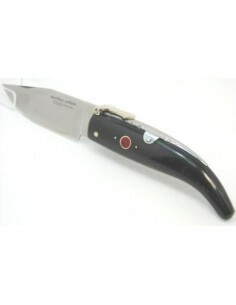 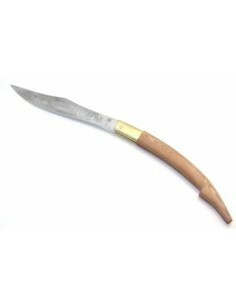 Replica of handcrafted folding knife type "Sevillana"